Contributors to the Building Love campaign have had a first look at a sample family unit on site at the new Ronald McDonald House Westmead this June. 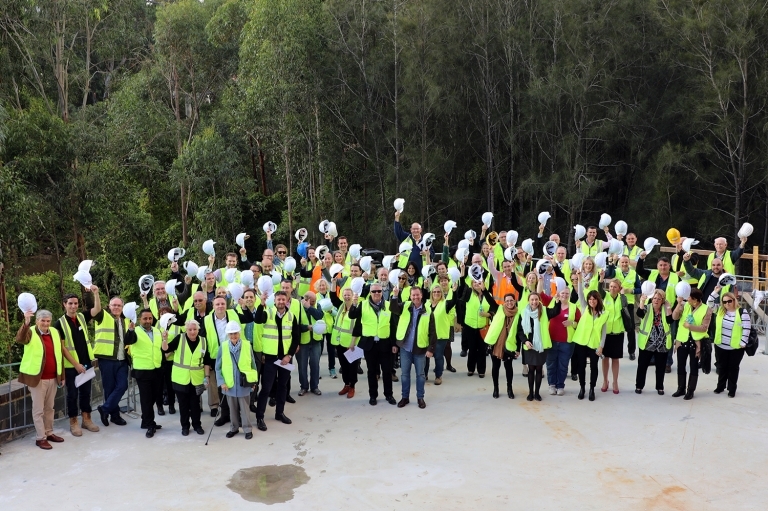 Gathering at the new Ronald McDonald House Westmead construction site on 13 June, 2017, more than 70 representatives from businesses across Sydney joined FDC Construction & Fit-Out to take a tour and view the progress to date. Along with Government, corporate and community donations, the Building Love campaign has also seen businesses contribute goods, services and expertise to minimise costs on the project and bring the dream of an expanded Ronald McDonald House Westmead closer to a reailty. “The purpose of the tour was to thank each of the organisations that has contributed to the campaign so far,” said Ronald McDonald House Westmead Chairman, Ray Finn.